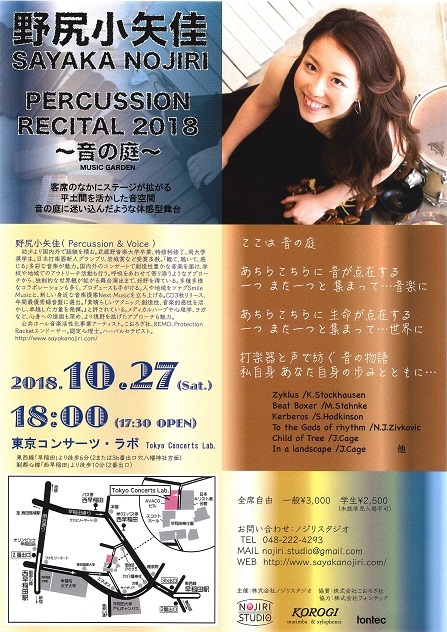 野尻小矢佳 PERCUSSION RECITAL 2018～音の庭～ – Tokyo Concerts Lab. Copyright © Tokyo Concerts. Inc. All Rights Reserved.